New vinyl siding installation offers a great financial advantage to any home. It is possible to completely change the appearance of your house with a new color, and while it boosts your property value, it also helps to insulate the home, reducing your energy bills. However, there are many different kinds of vinyl siding out there, so knowing what it might cost you during the renovation process is the first step. This way, you know what to expect and how much to budget. 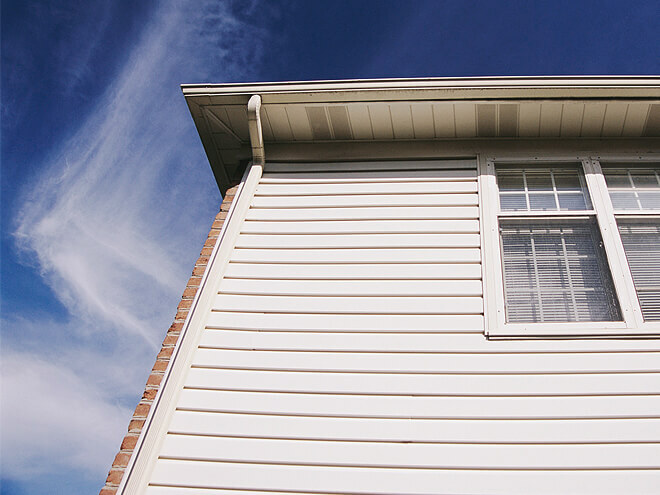 There are many different cost parameters associated with the cost to install vinyl siding, and it's important to understand just what might influence the price so that you can get the best deal possible. For this cost guide, we will use an average 2,800 sq ft, 2 story home as an example. The following costs will be broken down further below. On the lower end of the cost average spectrum, you can expect a price tag of around $900 while the average amount you can expect to pay comes in at around $9,000. This amount can escalate up to the region of $25,000, depending on your specific home. In some cases, new siding can be mounted over existing siding. This could serve to reduce the overall cost to install your vinyl siding. However, while it is possible to install vinyl siding over wood siding, any issues beneath the existing siding could cause the new installation project to fail. Vinyl siding installation is a fairly straightforward and easy process, and it is one of the most durable types of home exterior cladding available. You may, however, need a professional to take care of the labor for the best finish possible for your home. It's always recommended to compare quotes from several contractors in your area before you commit to doing business with anyone. The true high cost is a bad installation. Vinyl is not just one material with one specification. There are different kinds of vinyl out there, available in varying thickness, with a different mold, grain appearance, and color. Your contractor can help you find the best material to suit your specific vinyl siding installation requirements and budget, but ultimately, you are going to pay per square foot. Consider the cost breakdown involved for a 2,800 sq ft area requiring vinyl siding installation. The average benchmark cost to install vinyl siding ranges from $2 - $7 per sq ft. Most American homeowners will spend in the $5 per sq ft range. According to the U.S. census, the average home is a 20 ft high two-story, 25 ft x 45 ft structure. The total sq ft area can be easily calculated using this equation: 20 ft x (25 ft + 25 ft + 45 ft + 45 ft ) = 2,800 sq ft area requiring vinyl siding. The installed cost for vinyl siding would then start at $5,600 and, on occasion, cost up to as much as $19,600. The average cost being $11,200. It's important to remember that vinyl siding costs can vary by quality, manufacturer, and contractor. You might pay around $500 or so for the lesser vinyl to cover a specific area while a more expensive, better quality vinyl might cost around $800 to cover the same area. Keep in mind the total surface area of your home has a big impact on all of the other cost variables, including labor and removal of the old siding. If you plan to do it yourself, you can eliminate labor cost to install your vinyl siding completely, but you are likely are going to go through a bit more of the siding material as you learn along the way. Always keep in mind that DIY projects often seem the best option, but costly mistakes due to inexperience have the ability to dramatically escalate overall costs. By bringing in professionals, though, you are likely going to spend around $50 - $140 an hour in terms of labor cost. Keep in mind a larger home will take more time. Additionally, your location can play a role in how much it is going to cost you. If you're in need of vinyl siding installation, having the job done at the right price is most important. So, if you want to connect with the best local service providers offering the best prices possible in your area, simply enter your home zip code in the space provided below. Doing so makes you eligible to receive an estimate on the cost to install vinyl siding specifically tailored to your needs. The best part is that it's absolutely FREE with no obligation to make any purchases or sign contracts. Prices can vary depending on your unique set of circumstances. Get in touch with a contractor near you for a FREE and more accurate breakdown of the cost to install your vinyl siding.